Energy efficiency is a single solution to achieve multiple goals. You probably already know that using energy more efficiently can help save money on your utility bills. But did you know that saving energy can help you achieve much bigger goals? Energy efficiency is one of the fastest and most effective ways to prevent greenhouse gas emissions, save money, and create jobs. After all, most commercial buildings could use up to 30 percent less energy through money-saving investments in energy efficiency. Not to mention, implementing cost-effective, energy-saving strategies would cover more than half the expected growth in energy demand through 2025 and save more than $100 billion annually. In other words, energy efficiency bundles a lot of benefits into a single package: climate protection, economic growth, and energy security among them. Fortunately, ENERGY STAR can help you open it. Use ENERGY STAR to unlock energy efficiency. Through ENERGY STAR, EPA offers state and local governments a proven platform for saving energy. 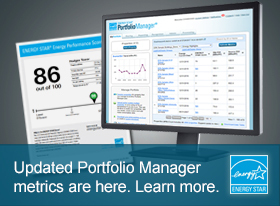 EPA offers off-the-shelf resources that are ready to be tailored to meet your energy and financial performance goals. And by presenting energy use information in a way that’s easy for anyone to understand, you can use ENERGY STAR metrics to unlock energy efficiency and drive energy-saving business decisions … all while working toward your greenhouse gas reduction goals. Learn how you can leverage the ENERGY STAR platform in your programs and policies to transform the market for energy efficiency. National Action Plan for Energy Efficiency. 2008. National Action Plan for Energy Efficiency Vision for 2025: A Framework for Change. Q: How can you stimulate your local economy, save money, fight climate change, and reduce risk from rising energy prices — all at the same time? A: By saving energy with ENERGY STAR. 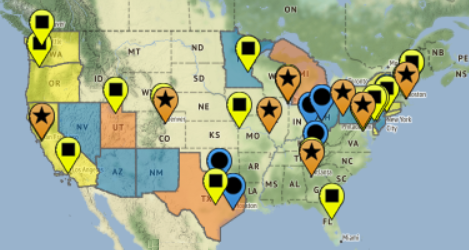 State and local governments across the nation are using ENERGY STAR tools and resources to improve energy efficiency in their communities.